Since delivery of the first CABU combination carrier in 2001, Klaveness Combination Carrier’s current fleet of 10 vessels has performed around 1 300 shipments in the main trading pattern between Far East and Middle East to Australia and US Gulf and Brazil. MV Bakkedal, therefore, made a historic visit this week, when it was the first CABU to ever visit Norway. Only 60 km from the small village she was named after, Bakkedal in Vindafjorden in Rogaland. 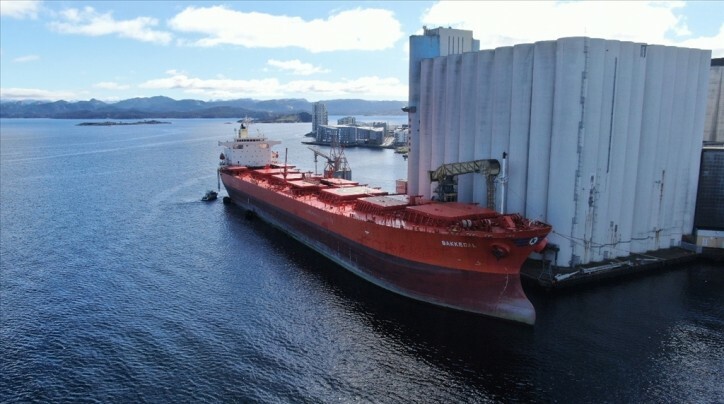 With her impressive 72 562 DWT, the 2007-built “Bakkedal” did not arrive to the city of Stavanger unnoticed. Docked at Felleskjøpet, Stavanger Havnesilo she is located a few minutes drive from the city center. 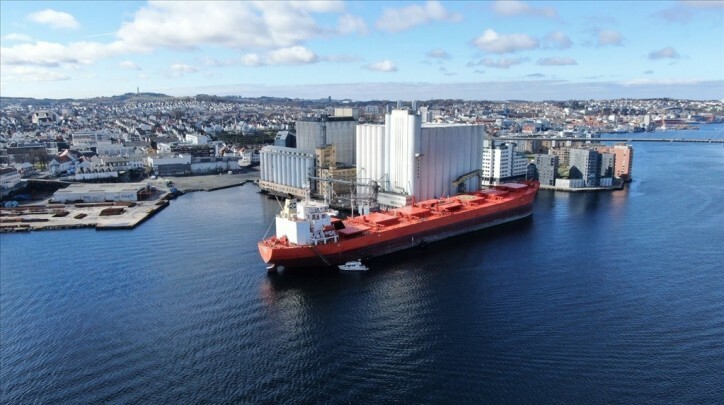 With the capacity to transport caustic soda solution (CSS), liquid fertilizer (UAN), molasses (liquid sugar), and all types of dry bulk commodities, one might wonder why she embarked on this journey to Norway after 12 years at sea.